Yesterday a gas explosion at the Andaman Seafood Company factory in Ranong, Southern Thailand, injured 27 Burmese migrant workers and two Thai workers. A woman Burmese translator at Ranong Hospital said women workers wounded in the explosion were sent to the hospital in Ranong on the Thai Burma border – three of the woman is still receiving treatment at the hospital. 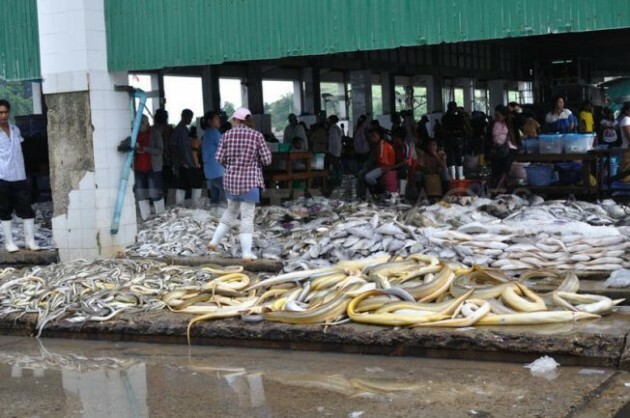 It is estimated that there are as many as 3,000 workers at the Andaman Seafood Company factory, most of them are migrant workers from Burma and the majority of those are from the southern Burmese town of Dawei. Burmese migrant workers at the factory, claim this is the third explosion at Andaman Seafoods. Ma Mi Nanda, a local migrant teacher in Ranong said that majority of the injured in yesterday’s explosion were women. Burmese migrant workers at Andaman Seafood and other factories in Ranong work from 7 am to 5 pm and are paid 200 baht a day with 20 to 50 baht an hour when they work overtime.